Once payment is received we will post your sponsorship on our website and social media. Thank you! We will use these links as part of our bi-weekly social media shoutouts. Please Note: All artwork must be 300dpi, high resolution. All ad designs must have a .25 bleed on all sides. Some or all of the artwork provided will be used on the Cecil Con website, in the convention booklet, and on social media. 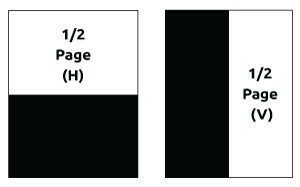 For this sponsorship level please choose any one of the two convention booklet ad dimensions below. 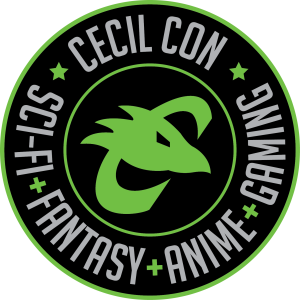 If you or your designer have any questions at all please contact our graphic designer and web master Meredith@Cecil-Con.com.